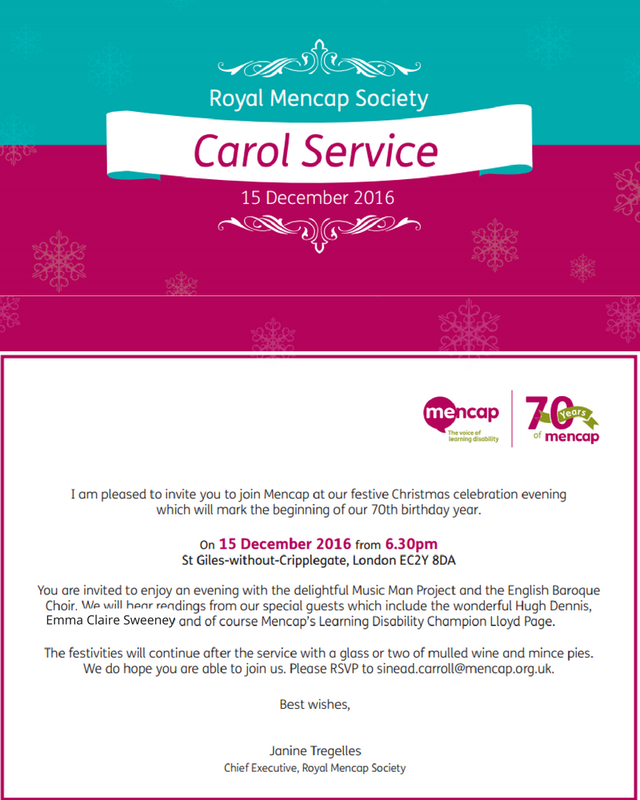 Emma will be reading from Owl Song at Dawn at the Royal Mencap Society’s Carol Service on 15 December, 2016 at 6:30 pm. Also present will be the delightful Music Man Project and the English Baroque Choir. Other readers will include Hugh Dennis and Mencap’s Learning Disability Champion Lloyd Page. The festivities will continue after the service with a glass or two of mulled wine and mince pies. Please RSVP to sinead.carroll@mencap.org.uk.